Irises are beautiful and add elegance to any garden. They come in all different colors and sizes. Most garden centers sell them now in a container with their perennials. 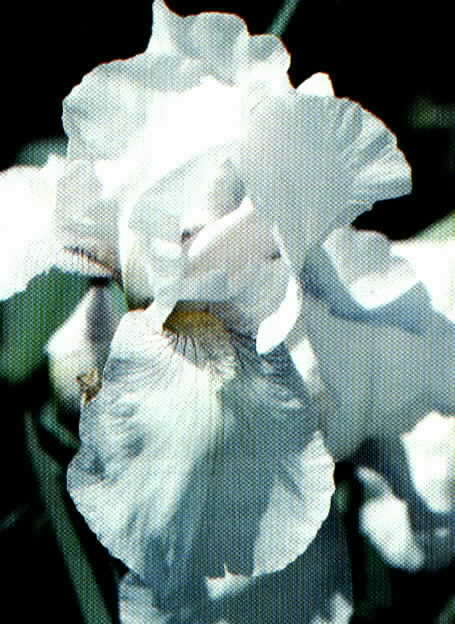 For the moon garden, a white variety would do well in a mass planting. The iris is such a striking flower that it will be equally attractive in the day as in the night. They, also, do well being cut for a bouquet.